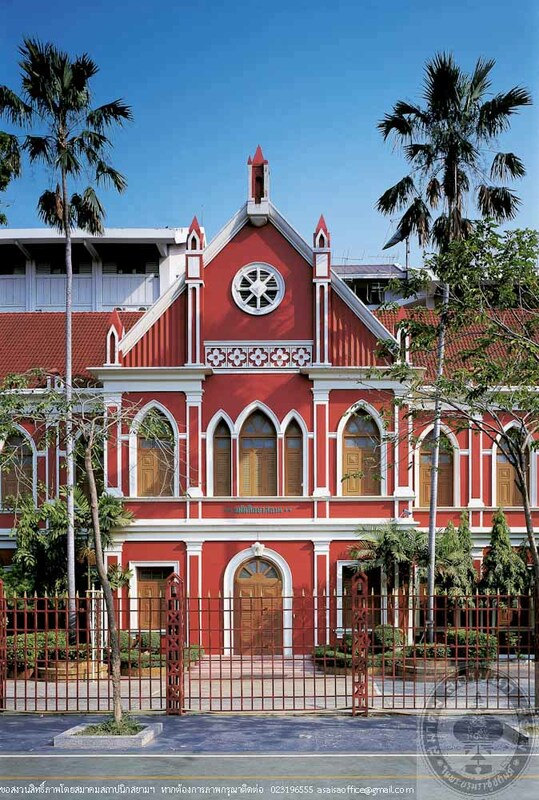 With the royal intention to promote education to the public, King Rama V had H.R.H. Prince Krommaphraya Damrong Rajanubhap establish Debsirin School on 15thMarch, 1885, as a royal school that served the general public. 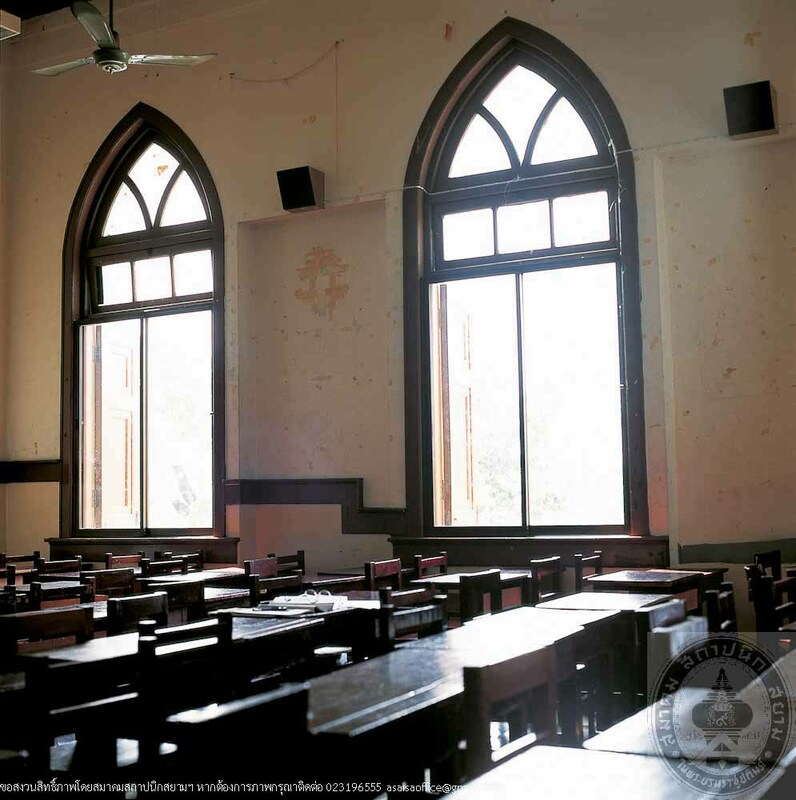 In the early dates, the school used Sala Kan Parian (Gathering Hall) of Wat Debsirintharawat as its study hall. In 1895, H.R.H. Prince Krommaphraya Banubandhu Vongvoradej, younger brother of King Rama V, wish to build a permanent structure in Wat Debsirintharawat to dedicate the merit to his mother, Queen Debsirinthara Borommarachini, consort of King Rama IV. He therefore, asked H.R.H. Prince Krommaphraya Narisara Nuvativongse to design a study hall for the school. 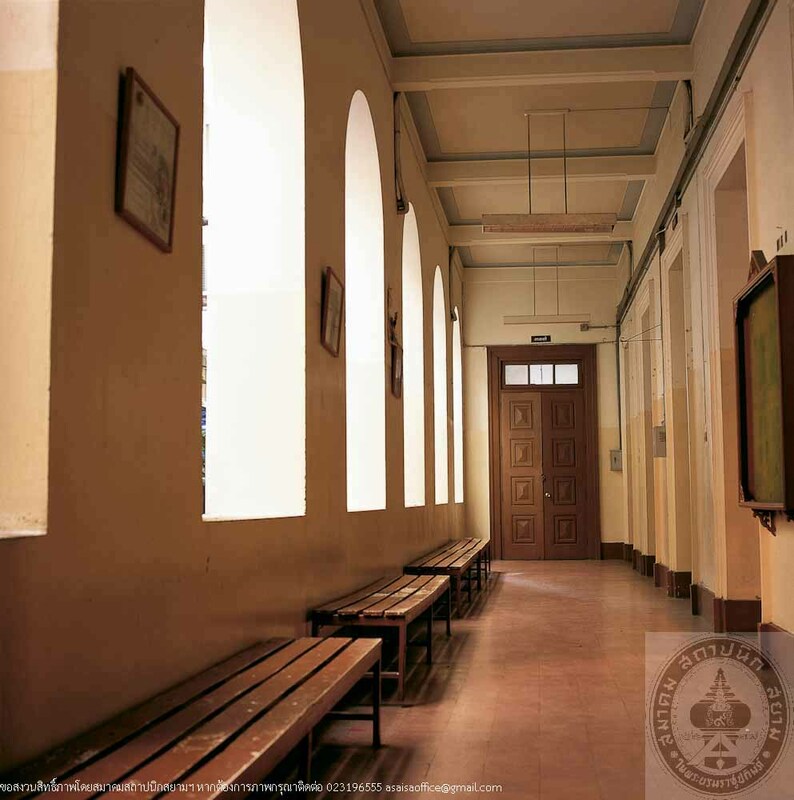 The original design was a Gothic Revival building constructed with brick masonry, comprising 8 classrooms in total. H.R.H. Prince Krommaphraya Phanuphanwongworadet invited government officials who were his acquaintances and who had been supported by Queen Debsirinthara Borommarachini to contribute to the building There are 4 contributors namely, H.R.H. Prince Krommaphraya Banubandhu Vongvoradej; Phraya Noraratratchamanit (To Manitayakun); Phraya Thipkosa and Phraya Samoechairat; and Phraya Choduekratchasetthi (Min Laohasetthi). Since the contributed sum was not sufficient , King Rama V subsidized the project with his personal budget and some contributions from the Ministry of Education. The buildingunderwent construction and officially opened on 9thJune, 1902. 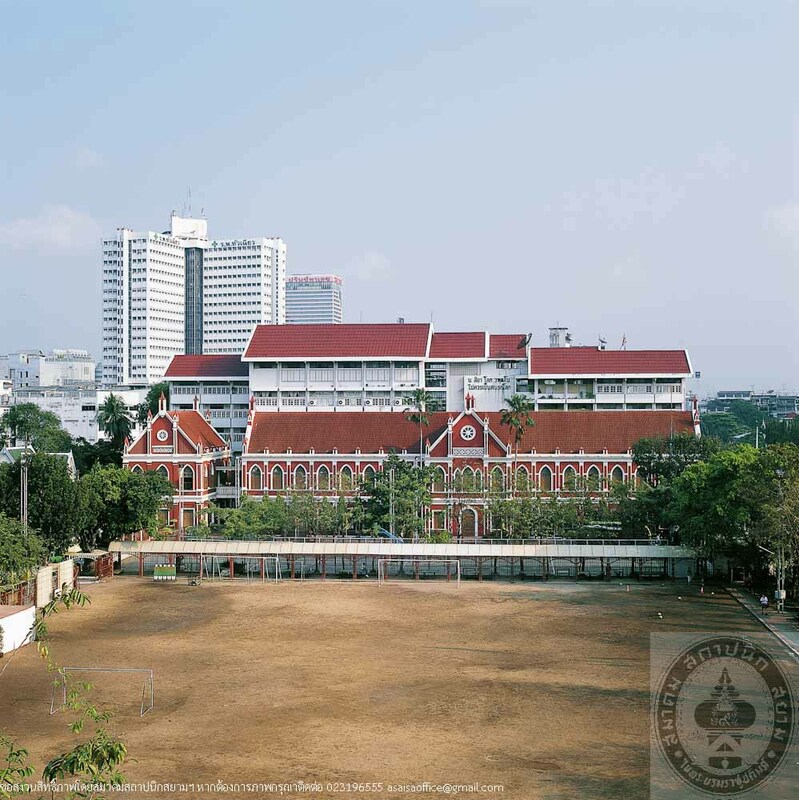 King Rama V named the building “Maen Naruemit”. In 1908, after cremation of Prince Siriwongwatthanadet, his son, and Mom Maen, his wife, H.R.H. Prince Krommaphraya Phanuphanwongworadet had their relics buried inside a monument in Maen Naruemit Building and had their sculptures cast. On March 10, 1938, Princess Chaloemkhetmongkhol, heir of H.R.H .Prince Krommaphraya Banubandhu Vongvoradej, gave the Maen Naruemit Building to Wat Debsirintharawat. During the Greater East Asia War, 1941 – 1945, Debsirin School and DebsirintharawatTemple were attacked by bombs on 10th July, 1945. Hua Lamphong Station, Tuek Maen Naruemit, Tuek Chodueklaohasetthi and the Gymnasium were seriously damaged. After the war, Maen Naruemit Building was reconstructed by initiation of the Ministry of Education in September 1948. 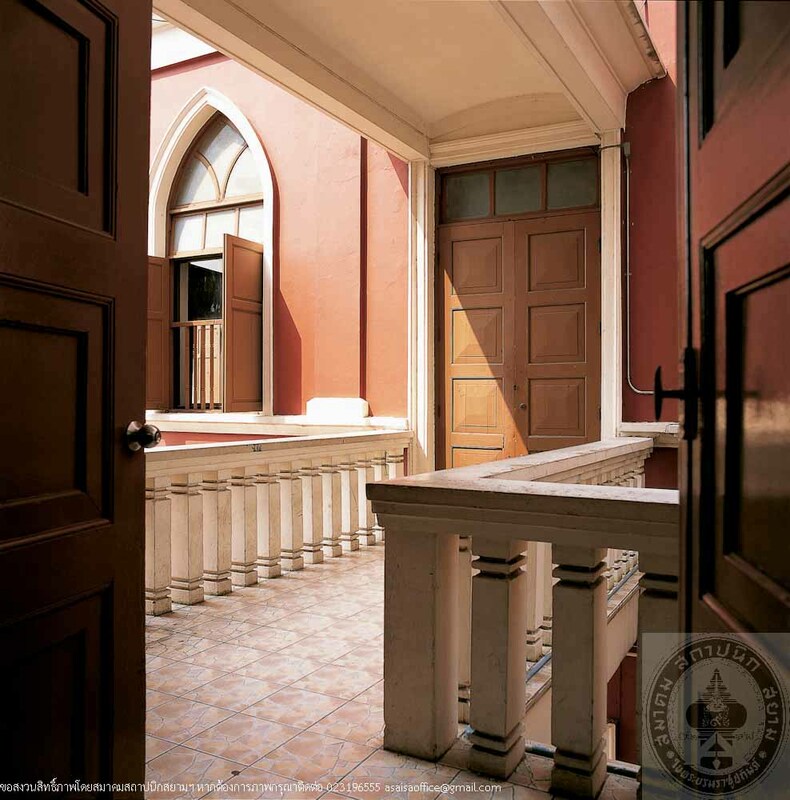 Reconstruction design was assigned to Mr. Phian Sombatpiam, architect of the Ministry who had conserved most of the original features but added 4 more classrooms, making the rooms summed to 12 in total. Reconstruction was completed in late September, 1949. The building was renamed “Maen Sueksasathan” by Somdet Phra Phutthakosachan, the Abbot of Wat Debsirintharawat. On 4thDecember, 1949, the Opening Ceremony was held, presided over by H.R.H. Prince Krommaphraya Chainatnarenthon, the Regent, and the first Key Turning was performed by Somdet Phra Phutthakosachan. 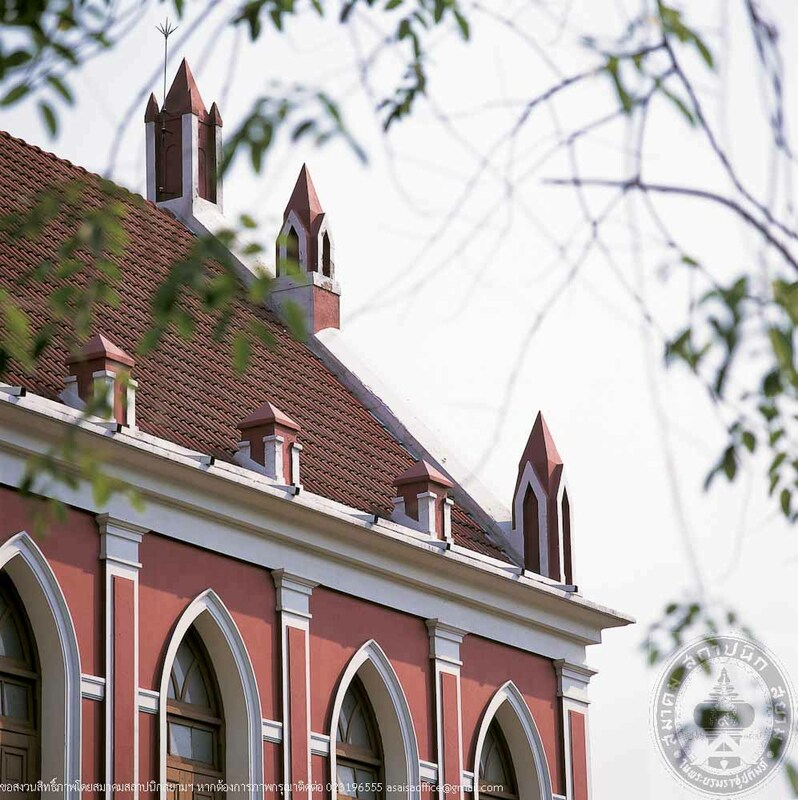 Tuek Maen Naruemit is a 2-storey Gothic Revival architecture whose prominent features are pointed arch doors and windows in Gothic style, stuccos and pilasters which accentuate vertical lines and building height. The building has been well-conserved as part of the long history of Debsirin School.